The community of WaterColor was established in 1999 and sits on almost 500 acres, situated along 30A between Destin and Panama City Beach. 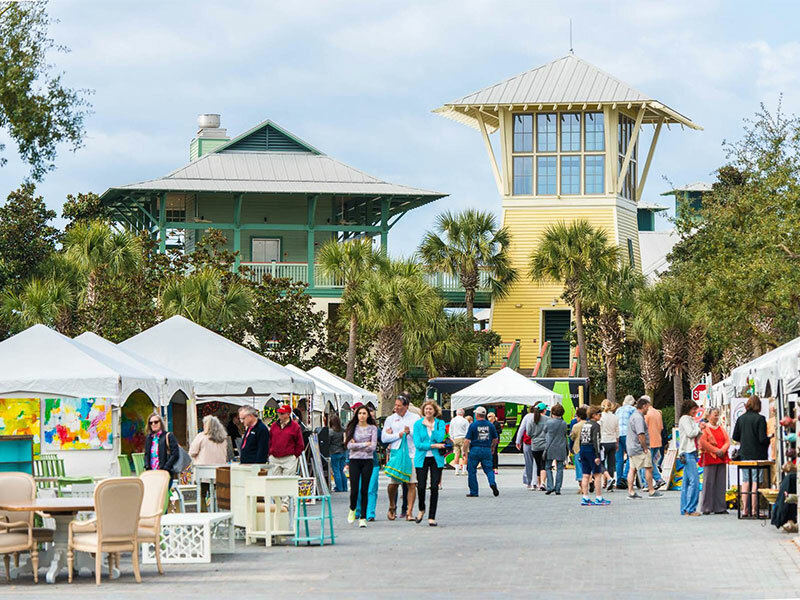 Hop in your car or on your bike for a short ride from your Dune Allen Realty vacation rental, and head over to WaterColor’s Town Center where you’ll find several boutiques that offer a variety of goodies from sweets to fine wine to golf accessories to signature resort apparel. Watercolor offers both outdoor and elegant dining experiences. And if you love to golf, you’ll want to check out the Tom Fazio designed Camp Creek Golf Club.